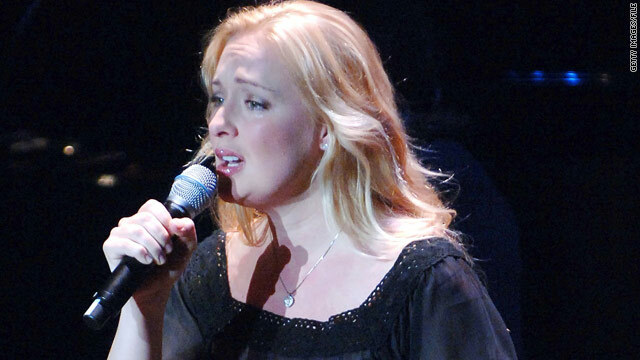 Singer Mindy McCready was rushed to a hospital in Fort Myers, Florida. 911 caller: "My daughter has just taken an overdose"
(CNN) -- Country singer Mindy McCready was rushed to a Fort Myers, Florida, hospital Tuesday morning, where she was in good condition, according to a hospital spokeswoman. "My daughter has just taken an overdose," said the caller in the 911 recording released by the Lee County sheriff on Tuesday afternoon. CNN has not verified the identity of the caller. "I don't know how many pills my daughter's taken," the caller said. "I thought that I could handle it and I'd get her to the hospital but she's evidently taken a whole bottle. There was a lot of Darvocet in the bottle and I don't know how many she took, but she's claiming she took a lot." Cape Coral Hospital spokeswoman Karen Krieger confirmed that McCready was being treated in the emergency department. "She's in good condition," Krieger said. A statement from McCready's publicist Tuesday morning said a diagnosis "has not yet been confirmed." "The family asks for your respect of their privacy and appreciates your thoughts and prayers at this time," McCready publicist Kat Atwood said in a written statement.